Gapers Block - To be Demolished: 1617 N. Wood St. Permit Description: Wreck & remove 2 story brick building. 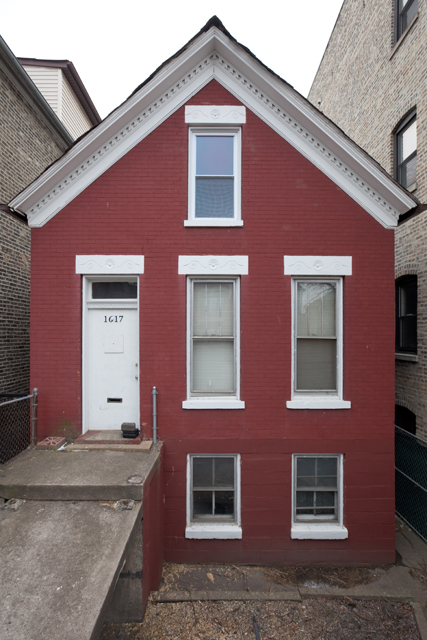 This below-grade Wicker Park residential building was renovated in 2007. The associated permit was issued on May 11, 2007 to "construct a 8'x10' deck and stairs." Still, by July 29, 2010, a 311 call was made indicating the residence was boarded and vacant. The building sold for $315,000 in February 2012, after which a new construction permit was issued on February 24 to erect a "single family house with detached private garage per plans."